I founded Clear Lake Modern Arnis in February 2003 as a training outlet for myself and to give myself the opportunity to inspire a new generation of Arnis practitioners or "Arnisadors". Black belts of Modern Arnis are encouraged to train others in the art as a form of respect to their former teachers. I am very lucky to have had the opportunity to train with masters like Grandmaster Remy Presas, Soke Fred Givens, and my current teacher and good friend Grandmaster Dr. Randi Schea. I learned important martial arts techniques from each of these men, but most importantly I learned how to teach the technique. In Modern Arnis, there is no such thing as a "secret technique". All techniques are taught according to the level of the student. Being able to teach a technique to students of multiple levels at the same time is an art in itself. I consider Clear Lake Modern Arnis a success for the art as well as myself. Our class consists of Arnis beginners to Arnis black belts and black belts from other styles of martial arts. I continually enhance the class curriculum to make it more fun while at the same time show how complete and effective Modern Arnis is as a self-defense martial arts. I would like to thank all of my students for their support of the class, because without them, I'd be working out by myself. Master Ed Kwan is a native from Hong Kong, Master Kwan moved to the United States in 1977, started martial arts training in 1984 under Soke Fred Givens in Lubbock, Texas. 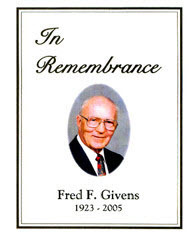 Soke Givens was a veteran who received most of his training in Japan. Soke Givens combined traditional Japanese karate, Jujitsu, Aiki-Jitsu to form a new style called Jing-Te-Jitsu, which translates to the “Art of Powerful Hand”. Master Kwan trained with Soke Givens for seven years and attained a rank of 3rd degree black belt. Master Kwan met Professor Presas in 1994 at a Modern Arnis seminar in Houston and was immediately attracted to the art. Master Kwan attended Arnis camps to train with Professor Presas and began training under Dr. Randi Schea, then Chairman of the Board for the IMAF, Inc. and named successor to Professor Presas. Master Kwan holds the rank of Lakan Anim, 6th degree black belt. 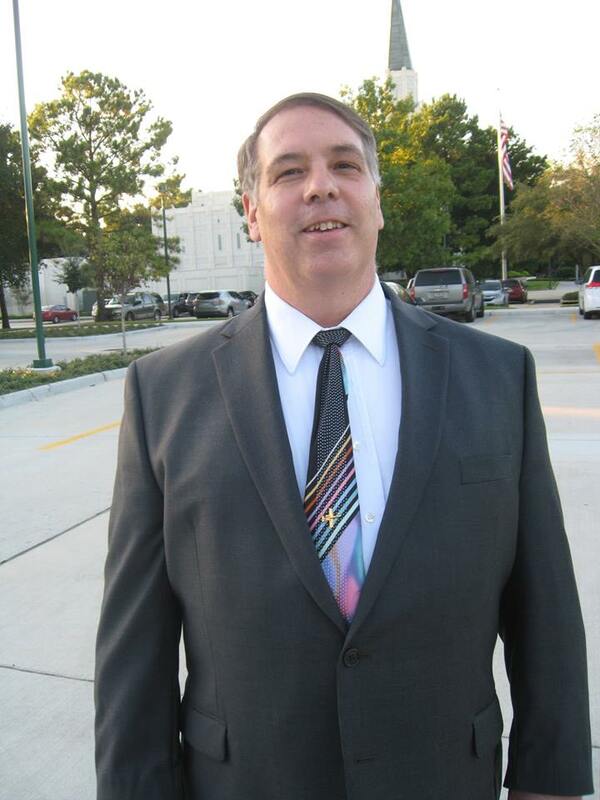 Master Kwan taught classes and seminars in US, Germany, Hong Kong and Philippines. Master Kwan is an active member of Modern Arnis Tapi Tapi and WorldWide Family of Modern Arnis in the Philippines. Ashley Sullivan holds a fourth degree black belt in Modern Arnis, Dayang Apat, and has practiced the art for over 18 years. She started her training in Modern Arnis in 1998, after training in kickboxing and Tai Kwan Do. While she enjoyed her practice of these other arts, Ashley found they lacked the variety which she was seeking, becoming monotonous after just a few months of training. While some may consider Arnis "the art within an art" or a "secondary art," Ashley believes it is much more. She appreciates the fullness of the art--the techniques and the people who choose to practice it. 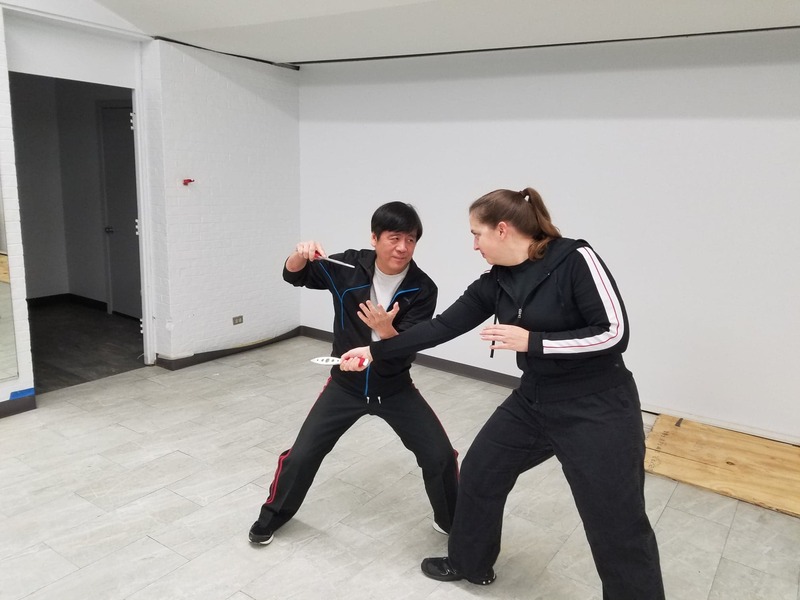 Ashley has attended many martial art seminars, camps, and training opportunities in the US and abroad, including travel to the Philippines in 2012 to attend the 6th Annual Filipino Martial Arts Festival in Bacolod. The camp was a remarkable experience for her. She found great understanding learning the art she loves on the island where Professor Remy Presas, grandmaster and founder of Modern Arnis, was born. She felt welcomed into the Filipino Arnis family by the warmth of the Filipino people. Ashley, Master Kwan, and Fred Pigao, visited the Philippines in 2016 to attend the 8th Annual Filipino Martial Arts Festival in Negros Oriental. 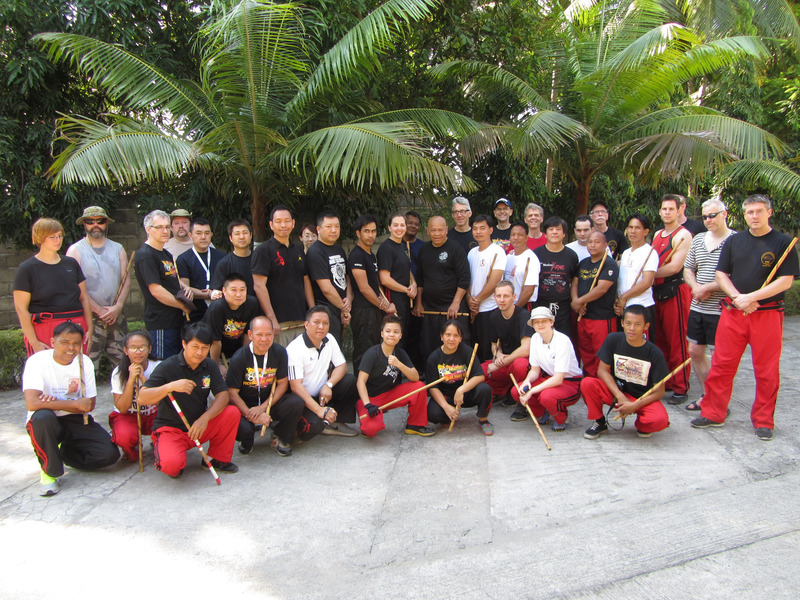 This camp was jam-packed with Grand Masters and Masters teaching all of the flavors of Arnis. The camp was featured on the Empty Minds film, Fighting Sticks of Arnis. Ashley trains in Modern Arnis with Master Ed Kwan in Clear Lake where she strives to learn as many techniques as possible. She also trains to one day teach her own Arnis class and assists Ed with seminars and classes. 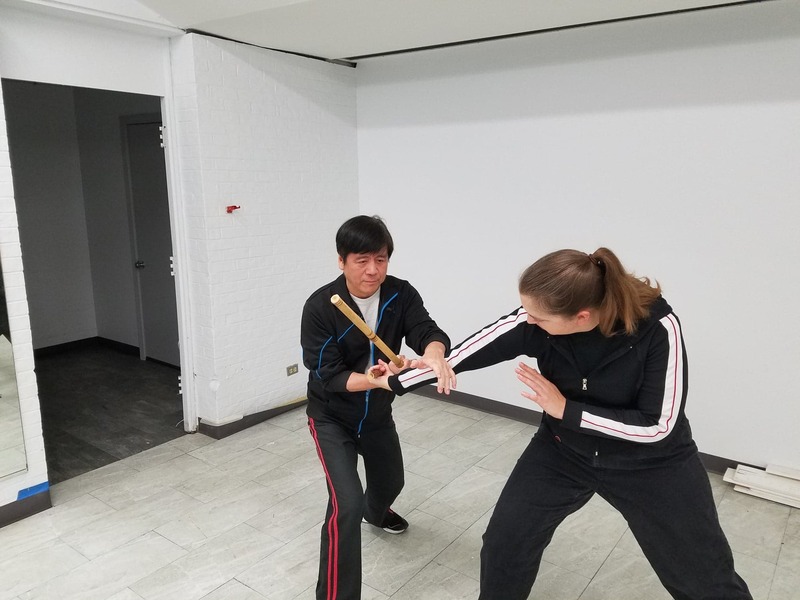 She maintains the Clear Lake Modern Arnis website, provides marketing ideas to promote the class, and is always looking for new and innovative ways to spread the art. 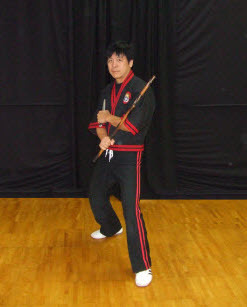 Jon has trained in Arnis with Master Ed Kwan since 2000. He routinely participates in Arnis seminars and has participated in numerous martial arts seminars in various styles over his many years of practice. 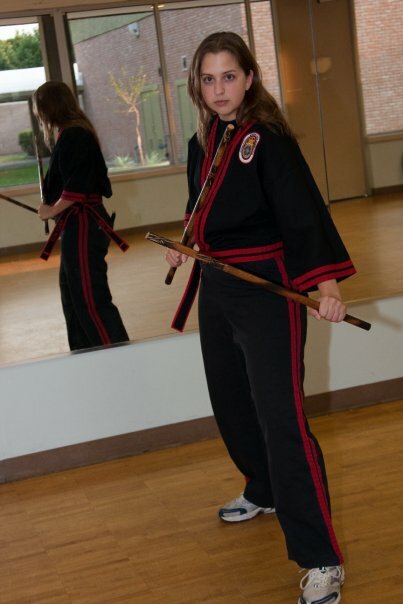 Veronika is a 1st-degree black belt in both Modern Arnis and Chi Soo Te Jujitsu. She has trained in martial arts since 2005 and Arnis under Master Ed Kwan since 2013. 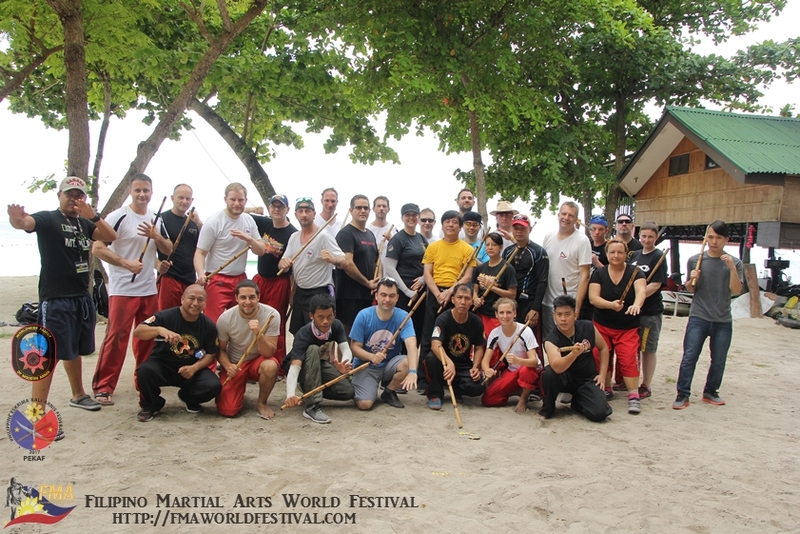 Veronika has participated in the biannual Filipino Martial Arts (FMA) World Festival in The Philippines and the biannual German Arnis Association (DAV) Summer Camp. Alex is a 1st-degree black belt in both Modern Arnis and Kung Fu. He routinely participates in martial arts seminars and plans to attend the Filipino Martial Arts (FMA) World Festival in The Philippines. 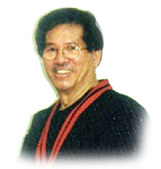 The art of Modern Arnis was formed by Professor Remy Armador Presas, who was born on December 19, 1936. Grandmaster Presas began his martial arts training at the age of 5 under his Grandfather, Leon Presas, who taught him the arts of Ochoo and Palis Palis. 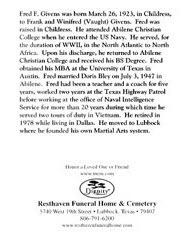 During his childhood, Professor Presas would devour everything possible on martial arts, and hence at the age of twelve, he stowed away to Cebu, Philippines to further his training. In Cebu, he stayed with his Uncle Fredo and was introduced to the Balintawak style, training under Timor Maranga. After two years of training under the art of Balintawak, the Grandmaster of Balintawak, Anciong Bacon, took an interest in Remy, and asked him to become a personal student. However, after some insight on how martial arts were used in senseless violence, Grandmaster Presas left Cebu with the blessing of Grandmaster Bacon to design his own system of fighting that would press the primary use of martial arts: self-defense, in order to achieve his goal of turning the barbaric nature of martial arts into a civilized sport. He desired to spread his art, stating "If you are the best, it can be judged only through your work. You cannot be the best if you only have a few students. I want to spread out the art." Traditional arnis training often strike to body as target which sometimes cause serious injuries. Grandmaster Presas revolutionized teaching the arts by using the cane as a target, creating a new system called "Modern Arnis", ultimately preserving the old traditions of Filipino martial arts. His popularity grew so much that he became the first official ambassador of goodwill for the Philippines’ Department of Tourism, spending nine years traveling across various countries, introducing Filipino sports and cultures. In 1970, Master Presas was asked to go to Japan to introduce Arnis to the Itago Police Academy. At this time, Arnis was being taught in Filipino school systems, thanks to the establishment of the Philippines Arnis Association founded by Master Presas. While out of the country, all Pilipino martial arts were taken over by General Fabian Ver. If Grandmaster Presas had stayed in the Philippines, he would have been in great peril and hence left the Philippine Islands for the United States. During Professor’s stay in the United States, he taught thousands of people and formed the International Modern Arnis Federation. He named seven Masters of Tapi-Tapi who are top-notch Arnisadors to help spread the art of Modern Arnis. 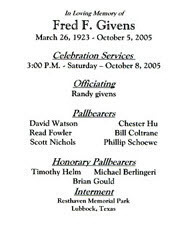 In his final days, he named Dr. Randi Schea to be his successor to continue to carry out his vision. Modern Arnis combines a variety of stick, knife, empty hand and jujitsu techniques. 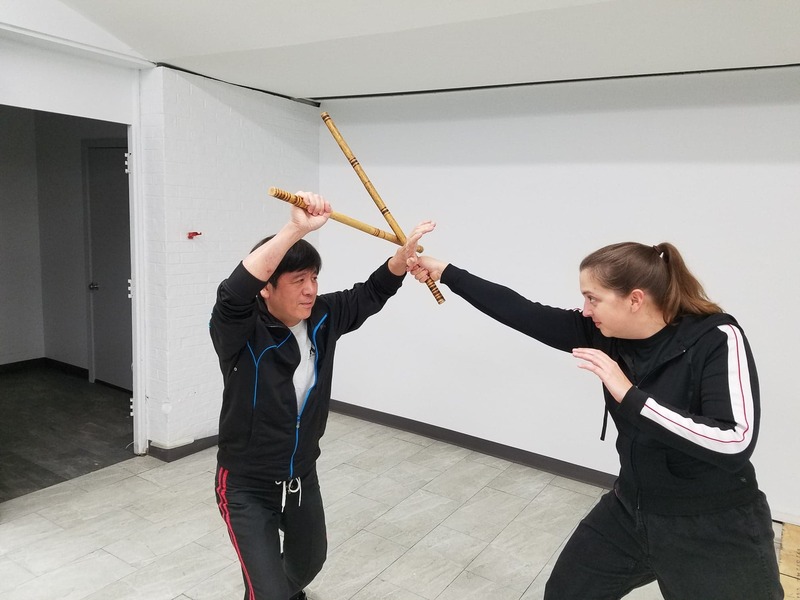 Techniques include blocks and disarms with sticks and empty hands, knife disarms, joint locks, sweeps, throws and cane sparring. 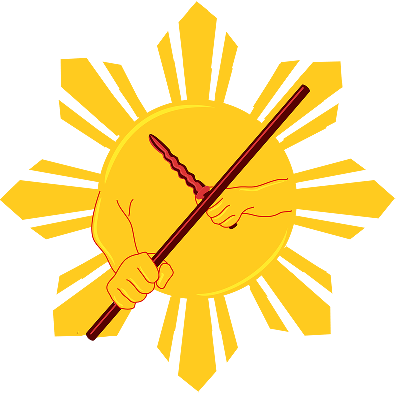 Modern Arnis was brought to the United States by Professor Remy Presas in the 1970s. The Professor focused the art on "the flow", teaching students how to effortlessly move from one technique to another and how to use the opponent's force against them. The second focus of Modern Arnis is Tapi-Tapi or "counter for counter". This technique teaches that for every move there is a counter and for every counter there is another counter, leaving an infinite number of techniques that can be used at any time. The students in the videos on this page have a combination of experience. Some have trained for only a few months, while others have trained for many years. 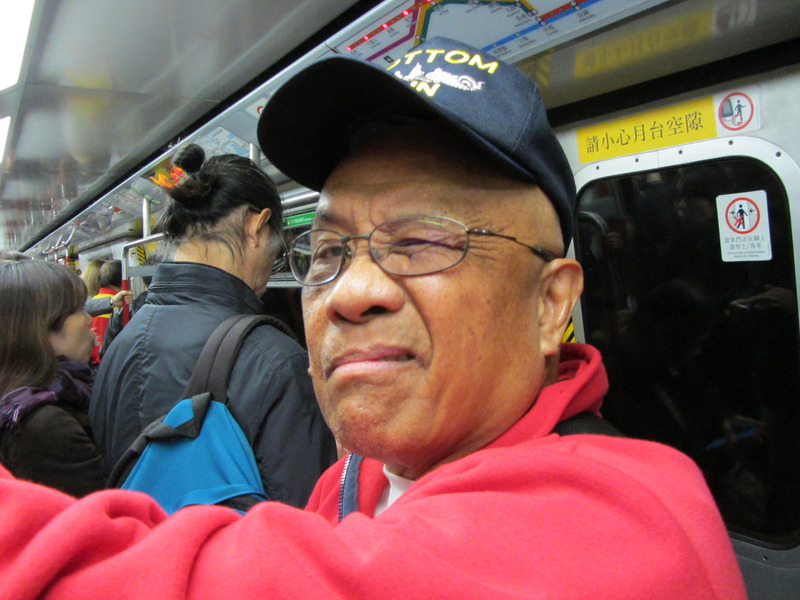 In addition to class and seminars, our students enjoy taking a trip to Hong Kong and the Philippines every-other year.